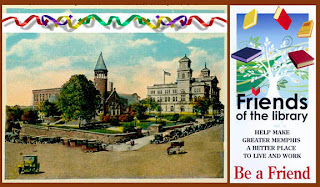 Friends for Our Riverfront: Happy Birthday! 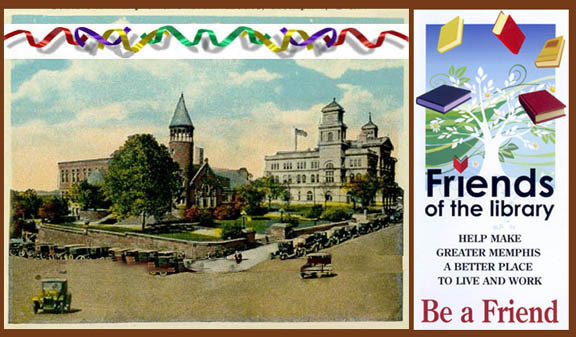 April 12, 1893 was the opening dedication of the 1st public library in Memphis at the corner of Front & Monroe. What better way to celebrate the Cossitt's 117th birthday than to become a Friend of the Library? Click on this form to enlarge, print a copy, and mail it in. Or join online HERE. Tag it for the Cossitt. To learn more about the library and the Cossitt family, the library’s 1st friends, click HERE.